12.7" x 12.7" stitched on 14 count. 9.9" x 9.9" stitched on 18 count. 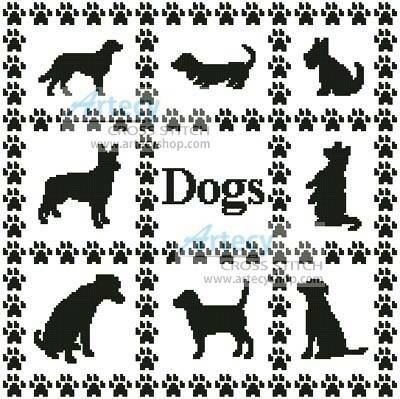 Dog Sampler cross stitch pattern... This counted cross stitch pattern was designed by Artecy Cross Stitch. Stitch the whole design as a sampler or use the individual designs on greeting cards etc. Clipart courtesy of publicdomainpictures.net Only full cross stitches are used.